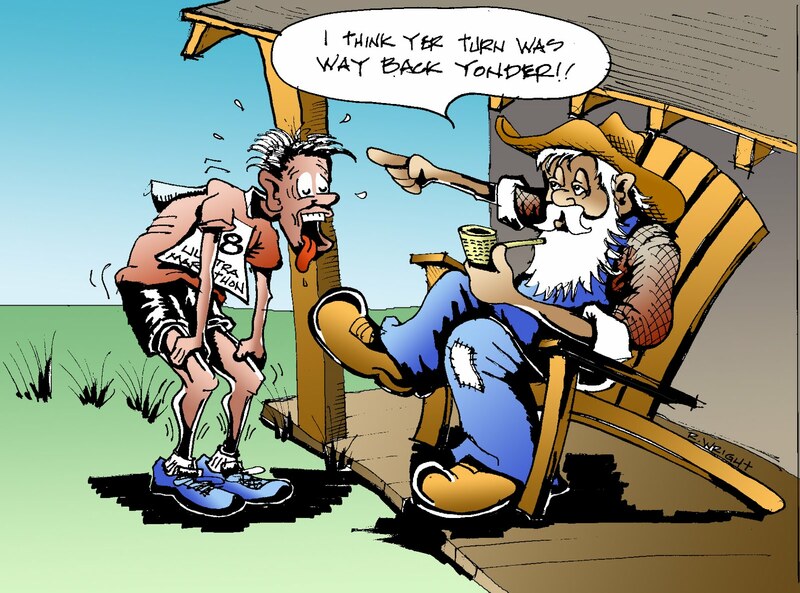 I don't know if I have already said this, but I drew toons for a running magazine published here locally. 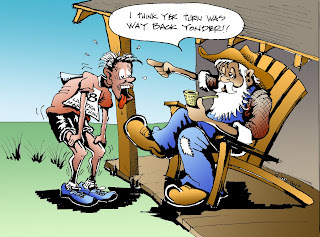 This is one of the toons, illustrating a story about a marathon runner who missed his turn and ended up somewhere out in the boondocks! He obviously ran more than the 26 mile marathon. I liked the composition with the high-tech (exhausted) runner, contrasting the relaxed, pipe-smoking hillbilly. Then, colored in photoshop created some fun depth. A short stint as a professional toonist! !